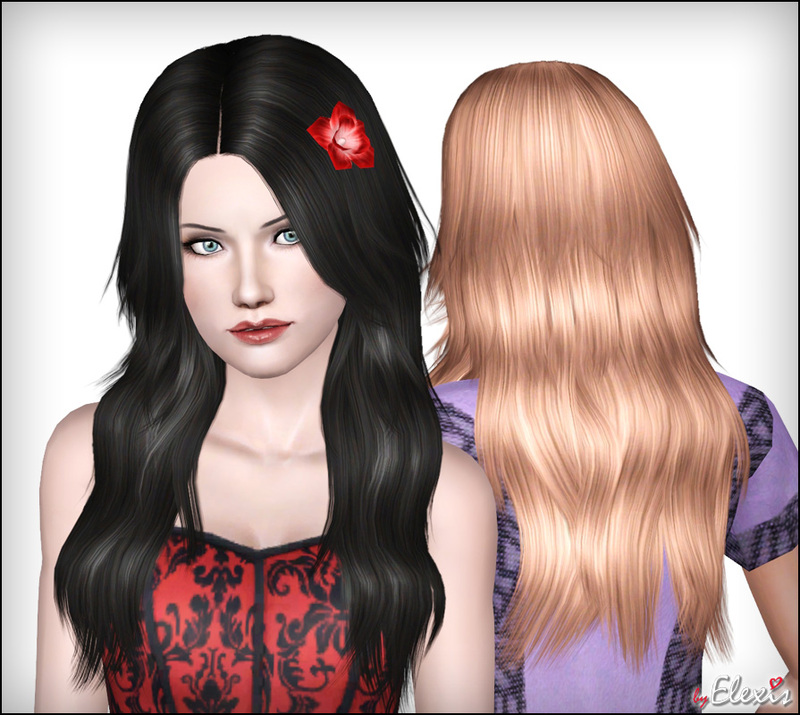 - Hair for females, teen to elder. - Available in all clothing categories, maternity and career included. 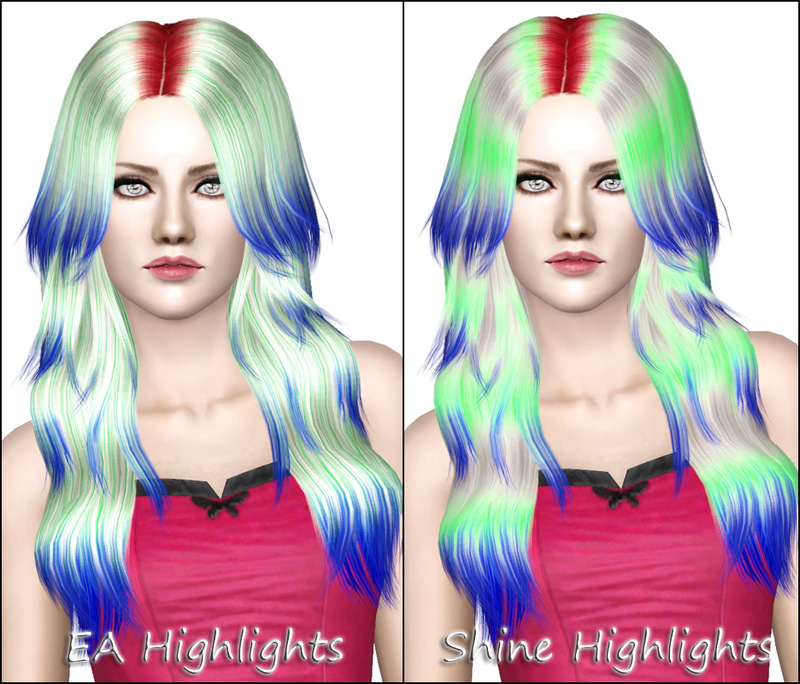 - 2 highlight versions: EA highlights and Shine highlights. You can have both at the same time. - Suitable for fat Sims. - Due to multiple layers, polygon count is higher than most of my previous hairs - 7806 polys. This is about 3000 polys more than detailed EA hairs. - The textures were made by the awesome textures guru - Anubis360. Thanks and comments are welcome! Please don't redistribute, use link back here instead. Ask before modifying or including with re-textures. вместо этого используйте ссылку сюда. Anubis360 for his awesome textures and advices. ReyaD and Missroxor for the name idea and general feedback. Also everyone in Creation Chat for their feedback and motivation. These recolours may or may not be endorsed by Elexis.